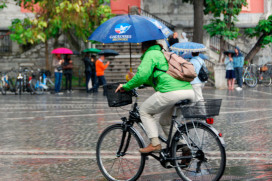 Poor Spring weather combined with the euro crisis proves to be a harmful cocktail for the Dutch bike sector. 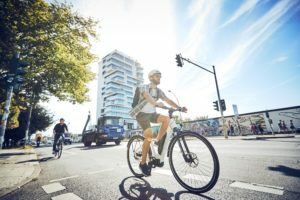 In particular in April the sale of new bikes and even e-bikes took a very hard blow. May showed some recovery thanks to two weeks of sunshine. But overall Europe’s value wise second biggest market is down with double digit numbers. DOETINCHEM, The Netherlands – Poor Spring weather combined with the euro crisis proves to be a harmful cocktail for the Dutch bike sector. 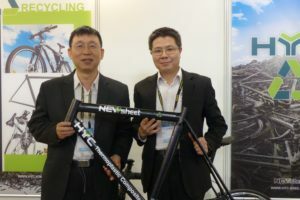 In particular in April the sale of new bikes and even e-bikes took a very hard blow. May showed some recovery thanks to two weeks of sunshine. But overall Europe’s value wise second biggest market is down with double digit numbers. 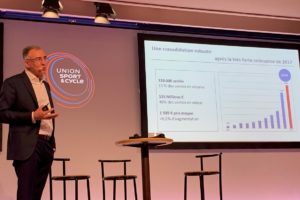 According to the accurate bike sales reports provided by GfK Retail and Technology Benelux, which gets its data from cash register recordings at dealers, sales took a deep dive in April. The complete market (dealers and mass retailers) was 38% down in numbers compared to the same month in 2011. Dealers did even worse. Their sales dropped with 43%! This time even electric bikes couldn’t rescue the Dutch dealers. Sales in this category were down 35%. Luckily bike sales in May presented some relief to the Dutch bike sector. With improved weather conditions and two weeks of sunshine, customers returned to the bike shops. 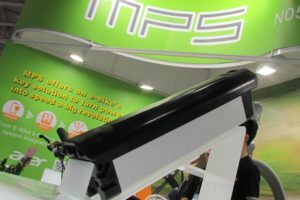 And in particular to the bigger and more active dealers, noted ZEG Benelux director Gèrard Mimpen. He reported that bike sales in May recovered compared to April. But he pointed out too that the numbers for May 2012 still showed a drop compared to may 2011. 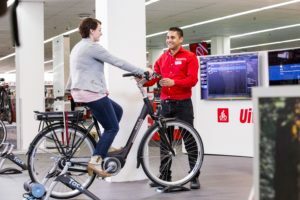 Maarten de Vos, GM of retail organization Bike Totaal, confirmed the slight recovery in May. He reported that up to week 20 (January 1 to May 20, 2012) his dealer/members scored a drop in bike sales revenues of 13.5%. The total turnover (including P&A sales) of the Bike Totaal dealers is down 10.7% on the same period in 2011.